Last Saturday, once again, we had a chance to run on Učka. I don’t like to miss these opportunities. My first race ever was on that mountain and I come back very often. 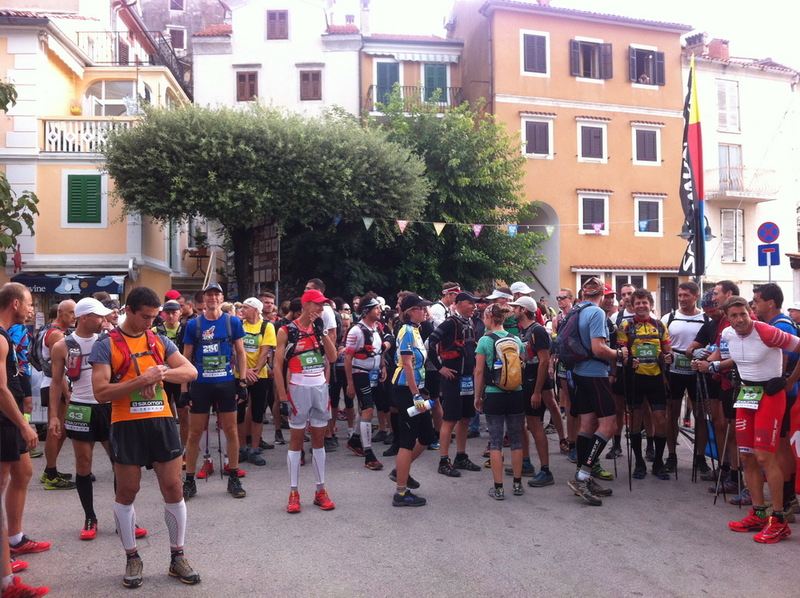 For the last ten years, we had adventure runs there (involve maps and compass), but this year guys from Ad natura decided to change a race format and prepared us a beautiful trail race. 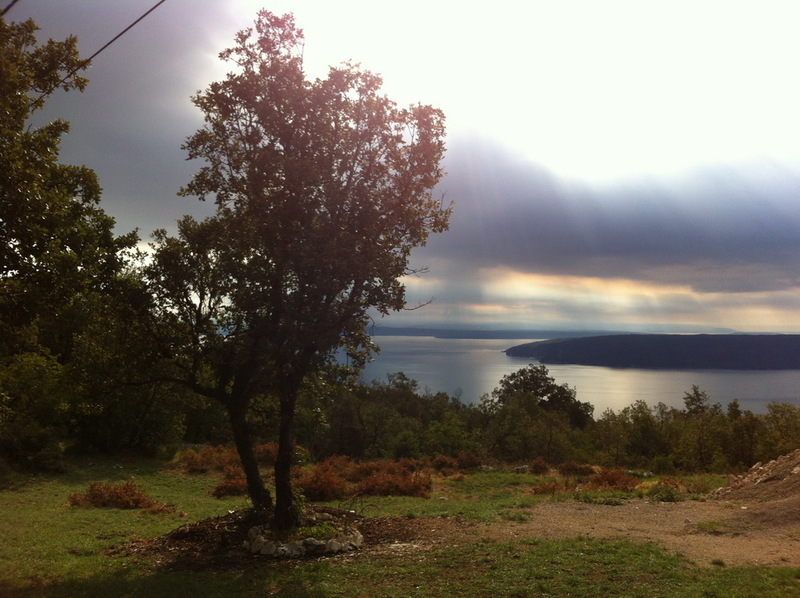 At the start, in Mošćenička Draga, a small place on the bank of Istria peninsula, the weather was promising a nice day. A warm day, calm sea, and clouds with interested colorful shades. Everything seemed so blue. When we entered the forest, colors swiftly changed to green. The floor, the tree tops, even the trunks were covered in green. 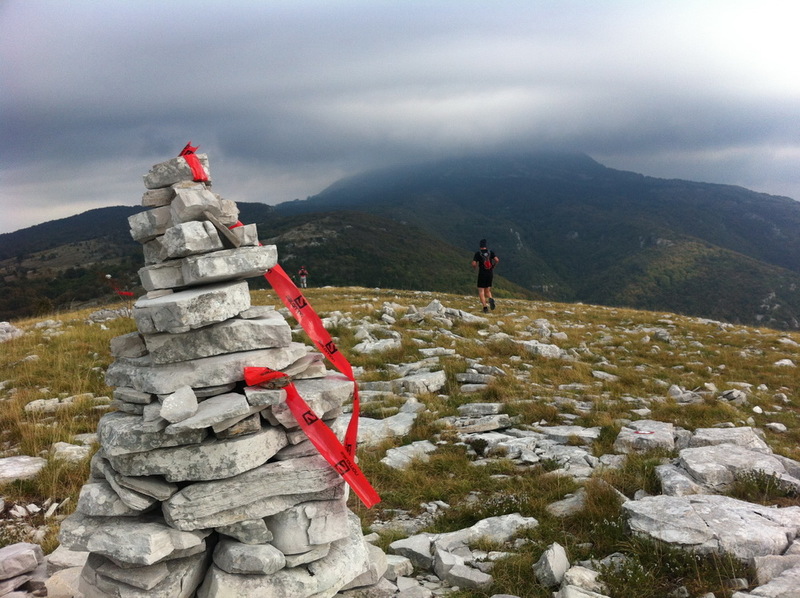 If the Vojak (summit of Učka), wasn’t in thick cloud, we could have enjoyed even more views and colors, but it added a mystical tone to that section of race. Race organization was at the highest level. The most important thing: the course, was carefully chosen, prepared and flawlessly marked. It offered us some spectacular views and beautiful (but technical) single-tracks to run on. Three feed stations on longer and one on shorter category offered several different drinks, types of fruit, sweets and chips. You know that feeling when your body rejects any more gels, energy bars and chocolates…? Well, on our last feed zone, we could have some bread and salami. 🙂 Music at the finish line and welcoming committee who hasn’t forgotten that not all the competitors speak Croatian. It was a true international event! Results that are live on Internet as you cross the finish line (via RaceBase portal) is becoming a standard in Croatia, but it’s still a new and refreshing thing in our running scene.